New year, new you, right? While many people are trying to capitalize on their resolutions for improvement this year, our team is more focused on making the most out of life with memorable adventures, relaxing trips, and anything else that our beautiful state has to offer. Colorado is home to a bevy of activities, each of which can provide amazing experiences for you and the entire family. Today, we’ll discuss a few fun activities to try in 2019. As Colorado’s premier source of ATV rentals, Estes Park ATV Rentals is here to provide the most convenience and fun possible for riders of all ages. Catch up on our fun activities to do in 2019 before calling today! Colorado is known for its plethora of hot springs, and if you’re planning on squeezing in some relaxation time in 2019, then our state has the right spots for the job. From the expansive selection in Pagosa Springs to delectable locations in Ouray, Idaho Springs, Glenwood Springs, Steamboat, and more, your entire family will be able to take part in some of the more comfortable amenities in nature. Whether you choose to go during a snowy day or in the spring is up to you, so be sure to incorporate this fun activity into the excitement of your vacation this year! No matter where you plan on visiting this year, it can prove a smart and refreshing choice to try one of the many breweries that our state has to offer. There are also numerous distilleries for those with refined tastes of other alcohol varieties. Located just outside of Manitou Springs, Cave of the Winds has provided a spectacular show for families to explore the beauty of a cave formed by thousands of years of wind and water. This tour will take you through the inner labyrinth, allowing you to experience total darkness. If your kids are looking for even more fun, you can elect to try out their obstacle course, ride down the zip line, or get a rush from an aerial dive down into the canyon. Look up the YouTube videos for the TERROR-Dactyl, and be sure to plan on a day of fun activities. This snow season saw the introduction of The Beavers and The Steep Gullies, which includes 34 new runs totaling nearly 470 new acres of shreddable powder. If you’re experienced an experienced skier or rider, a four-person lift can take you to the top of The Beavers for an all new level of fun. Experts can elect to try out 130 acres of extreme terrain along The Steep Gullies. When you combine these exciting runs with the open adventure of the Montezuma Bowl, it can be easy to see why this affordable mountain has the best level of adrenaline for the entire family. A Basin is known to be open the longest throughout the 2018-19 season, so be sure to check out their pass options to begin your adventure! Colorado also has dozens of other locations to make the most out of the snow season. Do your research to find the right fit before the snow melts! Spring is nearly here, and for those hoping to maximize their adrenaline and fresh air, Estes Park ATV Rentals is here to help. 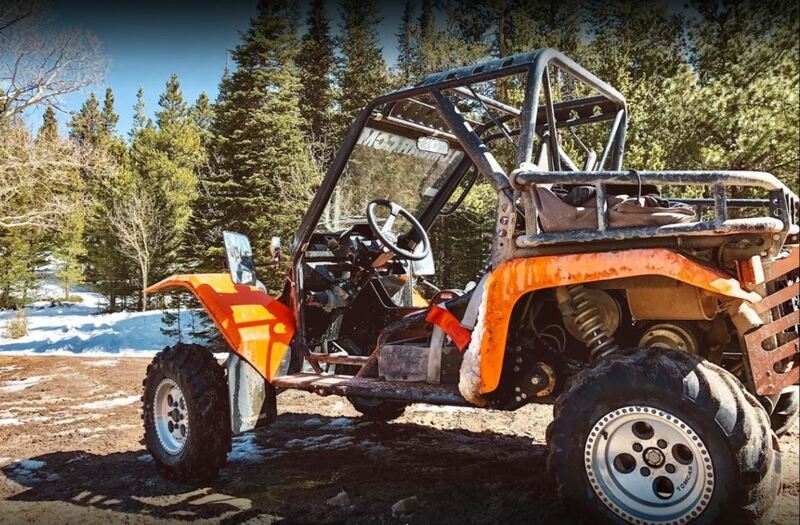 Our company is proud to provide the best ATV rentals in Colorado, allowing riders to meet at our location in Estes Park to take on a number of unique and exciting ATV trails. Safety and convenience are our top priorities, allowing you to take advantage of our half- or full-day ATV tours. Go at your own pace, enjoy the scenery, and take in all that the Rockies have to offer. If 2019 is the year that you plan to make the most out of our beautiful state, our ATV riding company is here and happy to help. Estes Park ATV Rentals is here to provide the most excitement and value for riders of all ages and skill levels. You can choose a one-, two-, four-, or six-person ATV rental to see Colorado in all its glory. We’ll be opening our doors March 1, so be sure to contact us to make the most out of your spring plans. We look forward to seeing you! Call, stop by, or book online. You must be at least 21 years old to rent, and drivers ages 16 and up must have a valid driver’s license. Children ages two and up can ride as a passenger. Arrive on time! Be sure to park at the public library or the Estes Park Parking Garage. Our shop is located right on Elkhorn Avenue, so be sure to plan for enough time to walk to our location. Bring your driver’s license and payment for deposit. 500 dollars will be taken as a deposit, and we’re happy to take credit, debit, or cash. Attend our safety meeting. Here, we will provide you with safety instructions and trail maps to make sure you make the most out of our ATV trails in a fun, safe manner. Drive to the parking lot. We will take your ATV rentals to the designated spot, gassed up and ready to go. Have fun! Enjoy your adventure. Once you are done, you can bring your ATV to the staging area and go home.